Barley’s Brewhaus, a local beer house in the Kansas City area with 99 beers on tap, is having a New Belgium Brewery beer tasting Wednesday, February 18th. 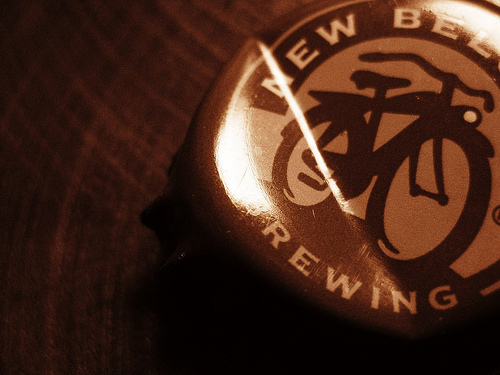 The beer that is served will be New Belgium’s Lips of Faith line of beer. The Lips of Faith is a series of New Belgium’s specialty brews, that when drank, is accompanied by a kiss from the brew muse. It is said to lift your spirits and put your sub-conscience in a whole new world! It’s either that or it’s because you’re drunk. These beers are not messing around in the ABV area. Three of the five beers in the line have an ABV over 8 percent. Four of the five are over 7 percent. Just in case, we will have a third party join us tomorrow to drive us home. Can you imagine the bad press Brew Union would get if we get a DUI? Tabloids would be all over us. How did it go? Were the beverages refreshing?